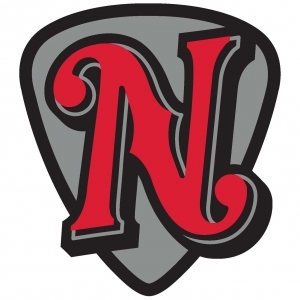 Join 104-5 The Zone at First Tennessee Park Tuesday, May 8th for the Nashville Sounds home matchup vs Colorado Springs Sky Sox. The first pitch is thrown at 6:35pm. 104-5 The Zone’s tent will be located near the Band Box wall. There will be special giveaways, including tickets to the upcoming Sounds game, swag, and chances to win concert tickets! Tuesday’s game is Bark in the Park Night presented by Tito’s Handmade Vodka – tickets start at $14 ($9 for human, $5 for dog). All dog ticket proceeds benefit AGAPE Animal Rescue. All dogs and owners must enter through the right field entrance at First Tennessee Park. Tune in to the Midday 180 on Tuesday from 10a-2p for chances to win tickets to this game and follow us and the Nashville Sounds on social media for additional chances to win @1045thezone @nashvillesounds! Dog Frisbee Chew Toy Giveaway to the first 1,000 fans (21 and older) presented by Tito’s Handmade Vodka. It’s the first Takeover Tuesday of the season with special guest Doug the Pug, presented by Pepsi. Interact and meet Nashville’s own New York Times best-selling puppy and social media extraordinaire.